Product categories of EVA Foam Case, we are specialized manufacturers from China, EVA Foam Case, Hard EVA Foam Case suppliers/factory, wholesale high-quality products of EVA Foam Plastic Carrying Case R & D and manufacturing, we have the perfect after-sales service and technical support. Look forward to your cooperation! 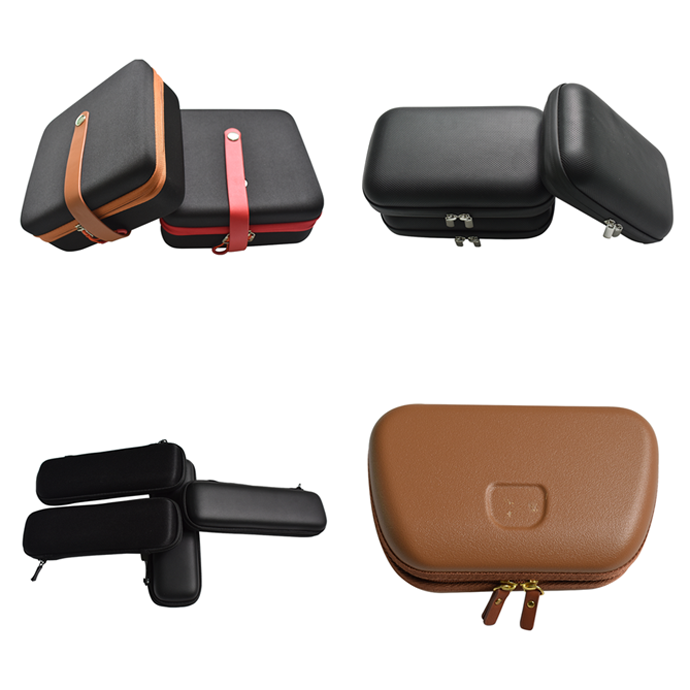 EVA Camera Case, EVA coin case, EVA Earphone Storage Case, etc. EVA box products are non-toxic, portable, light and soft, and are suitable for digital or electronic products. 1. Color: black, white, red, blue, purple, yellow, green which can be customized according to customer needs. 2. Basic Feature: anti-seismic, thermal insulation, moisture proof, anti-chemical corrosion and other advantages, and non-toxic, non-absorbent. 3. Processing: easy to cut, stamping, hot pressing, cutting, molding, gum, adhesion, rubber pad and other processing. 4. Common density: 38P - 70P. 6. Common thickness: 0.5mm - 50mm. 2. How many pieces do you want?